China’s internet authorities have a remarkable ability to guide public opinion via the country’s online social media, but that does not stop members of the world’s largest online community from posting and rapidly sharing sensitive information more quickly than regulators can block or remove the content. One of the largest internet-based platforms for sharing ideas publicly in China is microblogging service Sina Weibo, the country’s answer to Twitter, which is officially blocked. The social network is so widely used that journalists, China observers and media scientists can look to Weibo posts as a barometer to gauge public sentiment. Finding out what kind of information is censored on Weibo can also provide insights into where the limits of free expression stand in the world’s most populous country and second largest economy. The Weiboscope project at the Journalism and Media Studies Centre (The University of Hong Kong) produces annual reports on the most important censored Weibo posts of the year. In this 2016 edition, we focus on those posts relating to global affairs. Each post has been translated into English and includes a summary of relevant background information to provide context for readers — particularly those who may be unfamiliar with China’s online media environment. By sharing the following descriptions, including the content of and circumstances surrounding the censored posts, we hope to shed light on the nature of discussing international relations on China’s most popular microblog. As shown in the below Figure, the list is ranked in descending order of “most retweeted in the shortest period of time”, i.e. retweet count per “survival time” (Read the Methodology note at the end). The above picture is a cropped version of the original long picture. (English translation) Last night, some of the biggest media organisations in the world disclosed a piece of news at the same time and shocked the world!! Over 11.5 million financial documents were revealed to the media. Those documents exposed 210,000 offshore money-laundering and tax-evasion companies. It exposed that political leaders of 79 countries, senior managers of top companies, various superstars, all kinds of drug dealers, smugglers, gangs, underworld organisations entangled in these offshore money laundering activities, and where these funds are going. Twelve months before these documents were released, an enormous package of documents from an anonymous source was sent to the International Consortium of Investigative Journalists (ICIJ). In the 2.6 TB package, 11.5 million documents, including 4.8 million emails, 3 million database files, 2 million PDF files and many files, came from Mossack Fonseca, a law firm in Panama. This collection of documents is commonly referred to as the Panama Papers. Over 100 media outlets and more than 400 journalists all over the world formed a special investigative team to study the data. A list of prominent political figures, celebrities, smugglers, gangs and underworld organisations were found on the list. Iceland’s former Prime Minister Sigmundur and his wife established an offshore company called Wintris Inc to evade taxes; Vladimir Putin’s two close friends Sergey Roldugin and Yuri Kovalchuk established several offshore companies and received nearly $2 billion USD in loans through the Mossack Fonseca law firm from banks including the Bank of Russia. Family members of Chinese leaders Xi Jinping, Zhang Gaoli and Liu Yunshan were named in the documents, but interestingly, the censored Weibo post and the attached picture did not mention any of the Chinese leaders’ names, or their family members. In this screenshot, a WeChat user complained about the strict security subway control almost two weeks before the G20 summit in Hangzhou held from 4 to 5 September 2016. She said that even her hair bun was pinched to check if there was anything hidden inside. Two people replied with laughter. In addition to this incident, many netizens criticised the government for going too far beyond what was necessary in order to maintain a good image, including closing off a famous lakeside area to the public and banning all civil society activities in Hangzhou. (English translation)No wonder every time I see [the] Foreign Minister I feel an odd familiarity. Only after seeing this picture did I know why. This picture shows the main character of Little Dragon Man, a Chinese fairytale play for children. 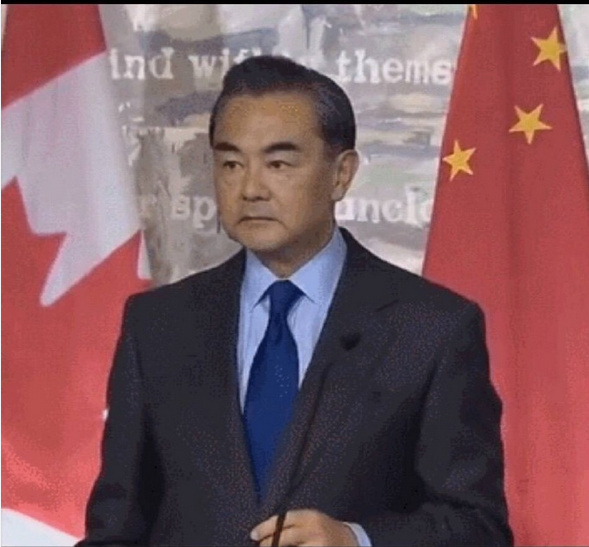 Some people say that the child looks very similar to Chinese Foreign Minister Wang Yi, especially their mouths, which both curve down at the corners (see Mr Wang’s picture for comparison). (English translation)The strength of the Indian Prime Minister’s hand is so amazing…It really hurts but Putin has to keep smiling (smiling emoji). 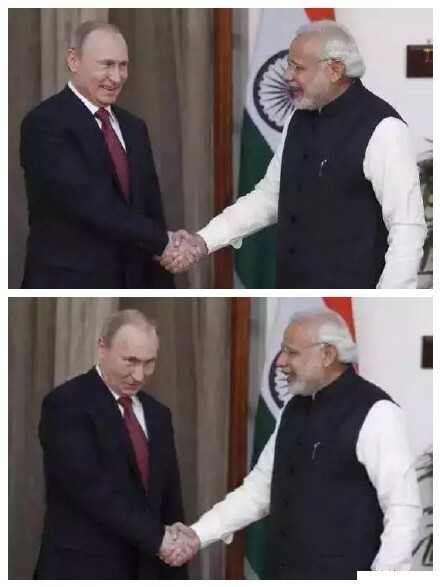 This Weibo user infers that in the picture, when shaking hands with Indian Prime Minister Narendra Modi, Putin seems to be smiling reluctantly. Similar pictures of Narendra Modi shaking hands with other world leaders and public figures have been highlighted before, including China’s President Xi Jinping and the UK’s Prince William (see this story, for example). (English translation)The protest slogan of “Little Phiphi” is quite humourous. This picture appears on CNN’s homepage. 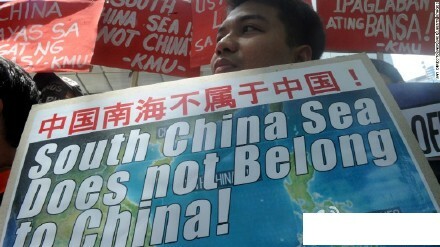 The photo shows a protester in the Philippines holding a sign that reads “South China Sea Does not Belong to China” in both English and Chinese. However, in the Chinese version, the South China Sea is referred to as “中国南海” (In English, “China’s South Sea”), which means the exact opposite of the theme of the demonstration. The Weibo user picks out this contradiction and uses the term “Little Phiphi” to mock the protester, inferring that the Philippines’ claim to the South China Sea is unreasonable and reveals a nationalistic viewpoint. This is a report on Sohu News entitled “China and the U.S. have agreed about sanctions on North Korea. ‘Xin Fat’ may be heading for a devastating disaster.” In the screenshot, Sohu (upper) and “Xin Fat” (lower) are circled. The Chinese character xin (鑫) is composed by three separate “Kim” characters. Therefore, “Xin Fat” means “Three Kim Fat”, which is a variation of “Jin San Pang” or “Kim Fatty the Third,” a nickname referring to the North Korean leader Kim Jong-un. Chinese netizens tacitly regard Kim’s grandfather and father as “Fatty the First” and “Fatty the Second”, poking fun at the family’s heredity. Considering the average living conditions in North Korea, the joke about Kim’s obesity is also with a note of sarcasm regarding the regime. According to this news report, Chinese Foreign Ministry Spokesman Geng Shuang said in November that any nickname of a foreign leader that has insulting and mocking remarks is prohibited. When “Kim Fatty the Third” was banned on the Internet, People then started to create its derivatives to bypass the censorship, such as “Xin (Three Kim) Fat” or “Kim Fat Fat Fat”. Sohu literally means “Searching Fox” in Chinese. This Weibo user intends to comment that Sohu is amazing for having published such a piece of news, by modifying trendy internet slang term “you’re awesome, my bro” into “you’re awesome, my fox” for hilarious effect. 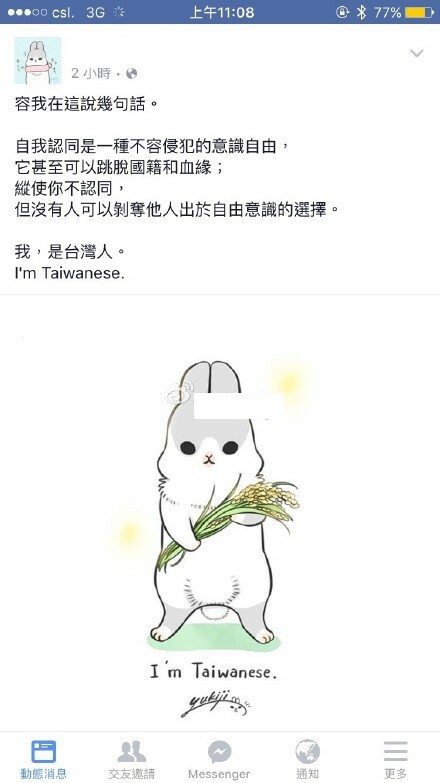 This censored Weibo post was published one day before Taiwan’s 2016 general election, presenting anger toward Sina’s various activities related to the support of Taiwan’s secession. 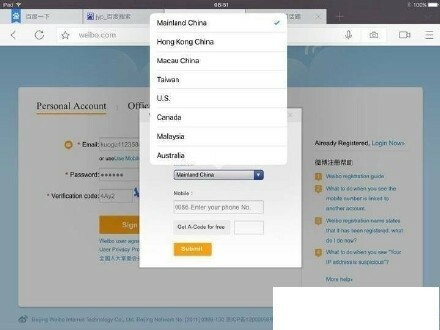 The post accuses Sina of treating Taiwan as an independent country on the new user registration page (as shown in the attached picture) and blocking posts that are related to Taiwan independence. It also claims that Mr Webber Cheng, the Head of Entertainment Department at Weibo’s Taiwan Bureau, is a secession supporter. Many more Weibo users echo the same nationalistic sentiment, generating more than 300 original Weibo posts that include the tag #Sina deletes Taiwan secession-related content from its “Hot Topics” section. A stance toward secession or independence of Taiwan is the one of the worst offenses to many Chinese web users, and their anger could bring catastrophic losses to anyone attempting to do business in or with China. One of the recent examples is Chou Tzu-yu, a teenage Taiwanese pop star in a Korean band who was forced to apologize for holding a Taiwanese flag. 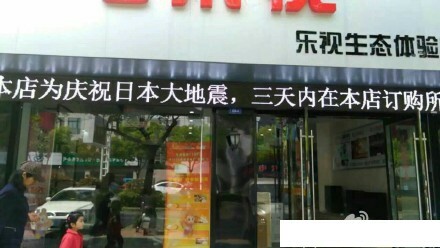 In this photo, the LED sign displayed outside a shop, the name of which is cropped out, says, “To celebrate the big earthquake in Japan, all purchases in our shop in three days…” The end of the sentence is not shown, but it is plausible to infer that this is a discount or sale promotion. It is likely that the sign refers to the earthquakes that took place in Kumamoto, Japan on 16 April. The magnitude of the main shock reached 7.0. As of 14 August 2016, the death toll was reported as 50. 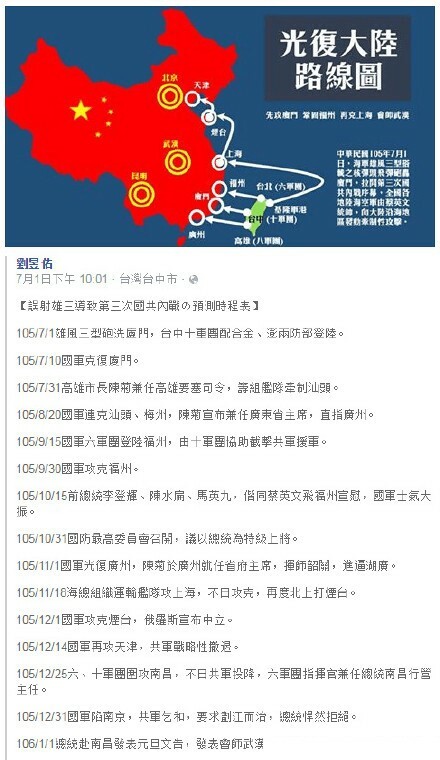 This photo is a screenshot of a Facebook post showing an imaginary timeline of a war between mainland China and Taiwan. It depicts the victory of Taiwan over southern China in abundant detail. The trigger of this fictional war is based on a real incident which happened on 1 July, in which a Taiwanese warship mistakenly fired a missile toward China. The supersonic missile hit a Taiwanese fishing boat near the Penghu islands, killing one person and injuring three. The censored Weibo post doesn’t seem to appreciate the masterplan. The rabbit shown in the screenshot is called Machiko. It is a cartoon character created by Yukiji, a Taiwanese painter. Machiko stickers are sold by the LINE Store, and are very popular among Chinese web users, especially on WeChat and Weibo. The censored Weibo post was posted on the day of Taiwan’s 2016 general election. 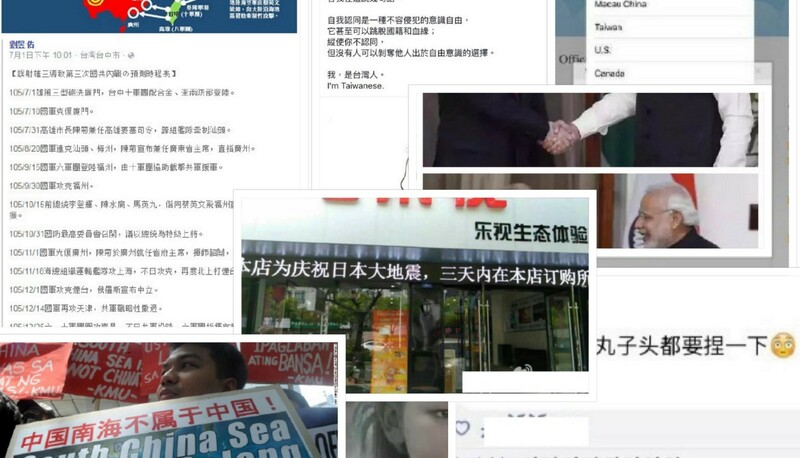 We hope that these examples of Weibo censorship in 2016 have provided useful insights into at least a few foreign affairs topics that China’s internet regulators deemed too sensitive or volatile. Based on three of the posts, it is straightforward to conclude that cross-strait affairs remained a clear taboo in public discussion, and that no talk of Taiwan independence or secession (Post #7 and #10, let alone the prospect of the Republic of China’s invasion of the mainland, Post #9) is allowed. When it came to posts that featured world leaders and diplomats, criticism or potential loss of face was not taken lightly. We saw how a blogger’s introduction to the leaked Panama Papers (Post #1), which incriminated numerous public figures across the globe, was promptly removed. Even the light-hearted jabs at Indian Prime Minister Narendra Modi and those who endured the perceived excess of his handshake were not tolerated by China’s internet censors (Post #4). It is more understandable to see why regulators would have had issue with comments on Kim Jong-un’s body shape (Post #6), as well as the observed parallel between the facial features of China’s foreign minister and a well-known child fantasy character (Post #3). However, we cannot simply assume that instances of Weibo censorship reflect the government’s effort to portray the ruling Communist Party in a positive light, or promote nationalist sentiment. A post that mocked the contradiction of a Philippine protester, who objected to Beijing’s claims in the South China Sea, was also taken down (Post #5). Furthermore, the removal of a photo that seemed to celebrate the Kumamoto earthquake (Post #8) suggests that the authorities did not condone insensitivity regarding a significant humanitarian crisis for Japan, which is often portrayed in Chinese media as the country’s perennial enemy. While this report may not be able to offer a definitive guide to the international affairs topics which were off limits last year, it raises important questions. For instance, what are the boundaries of humour when discussing foreign and domestic politicians on Chinese social media? And perhaps a more intriguing yet difficult question: what is China trying to portray to the world about its online community through its censorship decisions? Weiboscope at the Journalism and Media Studies Centre (JMSC), The University of Hong Kong, has been collecting censored Weibo posts since 2011 and is providing data to media outlets for story-making and news gathering (last year’s report). About 120,000+ Chinese Weibo accounts were tracked by the system throughout the year and their censored posts recorded and analysed. Then the top 100 most “influential” censored posts, i.e. those retweeted the most in the shortest period of time (according to a ratio of retweet count per “survival time”), were chosen. We purposely selected 10 posts (in descending order of retweet count per “survival time”) which are all related to international affairs, showing a robust discussion of “forbidden” global issues among Chinese netizens and reflecting China’s involvement in international affairs as a “global power”.